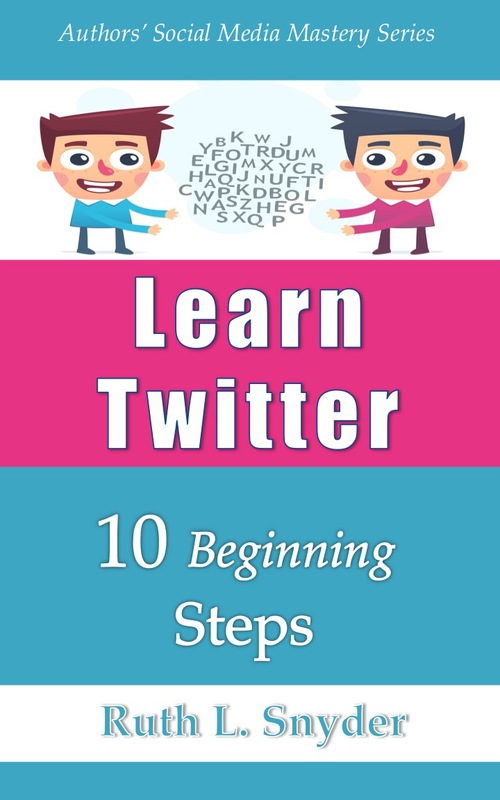 In Learn Twitter: 10 Beginning Steps Ruth L. Snyder explains the benefits of Twitter for writers and leads you step by step through the process of setting up an effective account. Using this manual, you’ll learn the lingo, find your way around the Twitter dashboard, and start building relationships with your worldwide audience. You’ll also discover many tips and tricks to engage your audience and build a solid marketing platform in minutes a day. 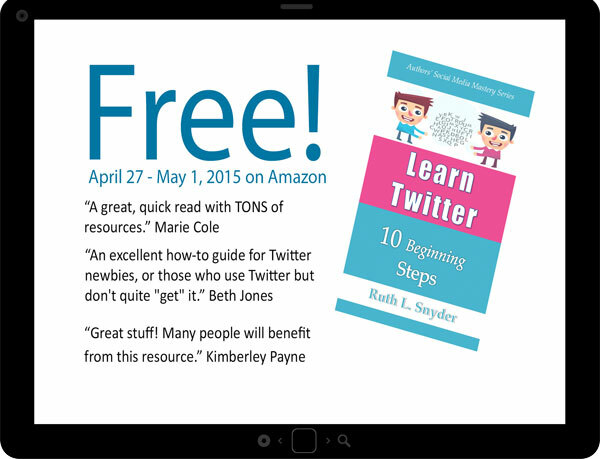 This is the first book in the Authors’ Social Media Mastery Series on Twitter. Once you master the essentials, you’ll want to move on to the intermediate and advanced steps to enhance your skills, sharing your writing with more readers. 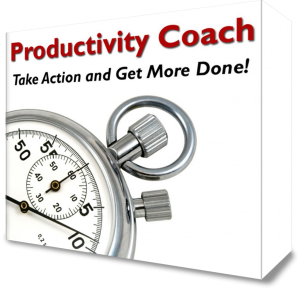 Get started on Twitter today! 2. What type of information is your audience looking for? What will pique their attention? 6. Would you enjoy reading this if someone else wrote it? TIP: If you post a tweet with an error in it, you are able to delete your tweet. However, you need to remember that once something is live on the internet, there may be a permanent record of it. (Some people call this “making cement footprints.”) You may delete your tweet, but someone else may have copied it and passed it on or placed it into a different format where you can’t access it. So be sure that what you post is what you really want to say. Check out more helpful tips at Good Tweet vs. Bad Tweet: A Guide to Being Not Boring on Twitter. Ruth L. Snyder was privileged to spend the first 10 years of her life in southern Africa where her parents served as missionaries. From there her family moved to Canada, settling in Three Hills, Alberta. Ruth enjoyed her years as a “staff kid” at Prairie and is grateful for the biblical grounding she received there. She now resides close to Glendon (the pyrogy capital of Alberta, Canada) with her husband and five young children. 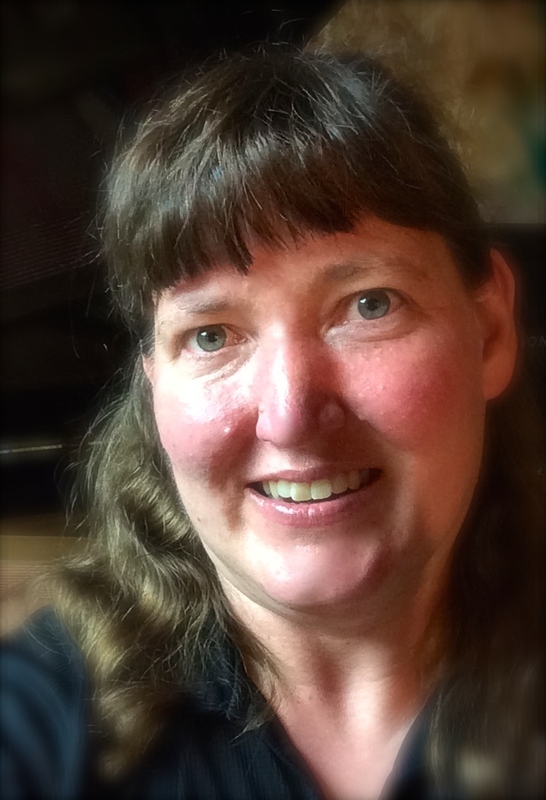 Ruth enjoys writing articles, devotionals, short stories, and Christian fiction. She is author of Cecile’s Christmas Miracle, Life Lessons, Shadows and Sunshine, and Uplifting Devotionals for Parents. Ruth is a member of The Word Guild and The Christian PEN. She currently serves as the President of InScribe Christian Writers’ Fellowship. Ruth’s children have taught her many things about living with special needs. She is a strong advocate who spent several years serving on her local public school board. Ruth loves her job teaching Music for Young Children. She is fascinated by children’s imaginations and enjoys helping young children learn the basics of music through play. In her spare time, Ruth enjoys reading, crafts, volunteering in her local community, photography, and travel. Several years ago, Ruth and her family traveled through 28 States in 30 days!